Simon Coudé, an iREx student at Université de Montréal, submitted his PhD thesis in August 2017. Here he summarizes the research projects he carried out during his PhD. In order to understand the origins of stars and their planets, it is essential to know in detail the characteristics of the interstellar environments in which stellar systems form. 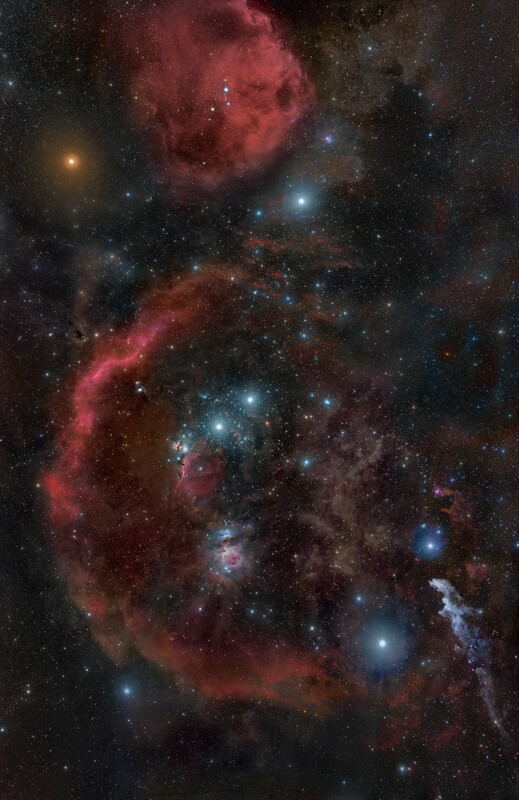 Although we know the stars in our Galaxy are born in the heart of giant gas clouds, such as the well-known Orion nebula, these stellar nurseries are particularly difficult to study since young stars are buried within opaque cocoons of interstellar dust. Conventional techniques that use visible light therefore cannot provide us with adequate information on the physical conditions leading to the formation of stellar systems. Luckily, cold interstellar dust emits its own light at submillimeter wavelengths, which lies at the boundary between far-infrared and radio wavelengths in the electromagnetic spectrum. Submillimeter astronomy thus allows us to probe the physical properties of the interstellar medium deep within dense star-forming regions. There also exists a relationship between the polarization of the light emitted by this cold dust and the orientation of the magnetic field within the stellar nurseries of the Galaxy. This polarization, an intrinsic property of light due to its nature as an electromagnetic wave, can then be measured by specialized astronomical instruments in order to characterize the morphology and amplitude of these interstellar magnetic fields. 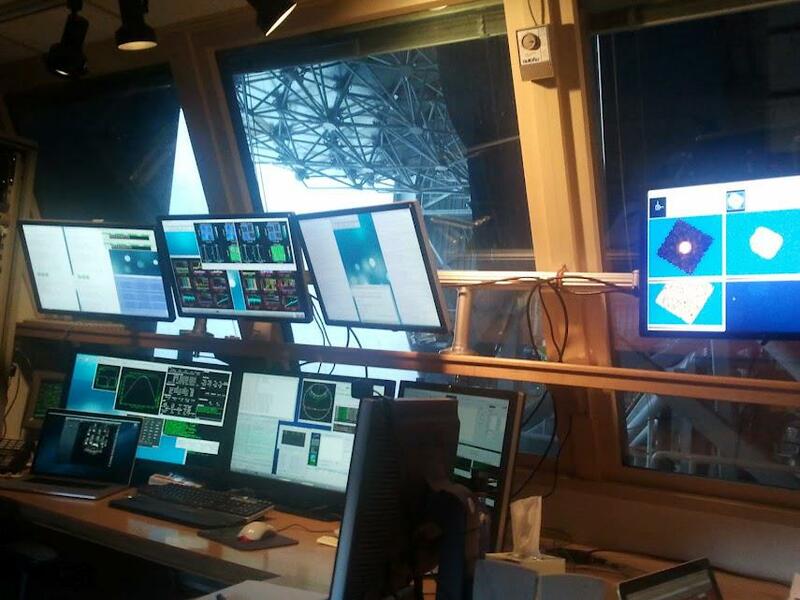 The control center of the James Clerk Maxwell telescope at the summit of Maunakea in Hawai’i. This submillimeter observatory is ideal for studying the physical properties of the cold interstellar medium within star-forming regions. During my PhD, I had the opportunity to use data taken at the James-Clerk-Maxwell telescope, a submillimeter observatory at the summit of Mauna kea in Hawai’i, in order to study the physical properties and dynamics of the interstellar medium in several stellar nurseries in the vicinity of our Solar System. Specifically, I measured the properties of the magnetic field in an active star-forming region of the Perseus molecular cloud complex. The empirical characterization of interstellar magnetic fields is essential to the development of theoretical models explaining the formation of stars and their planets. The interplay between magnetism and turbulence is thought to be partially responsible for slowing the gravitational collapse inside interstellar gas clouds, which would lower the star formation rate of the Galaxy. In addition, magnetic fields could also have a strong influence on the formation of planets surrounding newly-formed stars. Despite being notoriously difficult to measure, interstellar magnetic fields are certainly one of the key elements that will one day allow us to explain the extraordinary diversity of stars and exoplanets that we observe in our Galaxy. 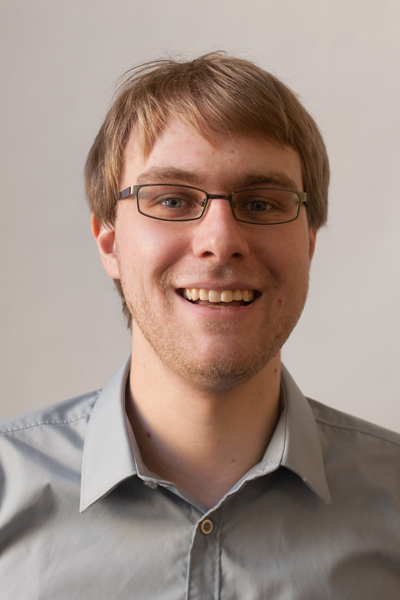 Simon Coudé did his PhD at Université de Montréal between 2012 and 2017, after completing an MSc, also at Université de Montréal. His MSc and PhD advisor was Pierre Bastien. Thanks to Simon-Gabriel Beauvais, who translated this text, and to Neil J Cook, for its revision.